Backblaze shares data it’s collected on failure rates of over 104,954 hard drives running continuously. Statistics on hard drive reliability just released by data-storage company Backblaze would seem to indicate it’s not a good idea to buy a Seagate hard drive. Of the 104,954 drives it uses, Seagate’s are the least reliable by a wide margin. On the other side of the coin, this company has found drives made by Western Digital’s HGST to be much more reliable. While reviewers can test individual units, or even small collections, this company has access to far more data. Its drives ran for a total of 35.7 million days during 2018. Backblaze is sharing information that’s “basically non-existent otherwise,” points out Andy Klein, the company‘s Director of Product marketing, in a blog post. Also, this data is all for “spinning hard drives,” according to Klein, not solid state drives. 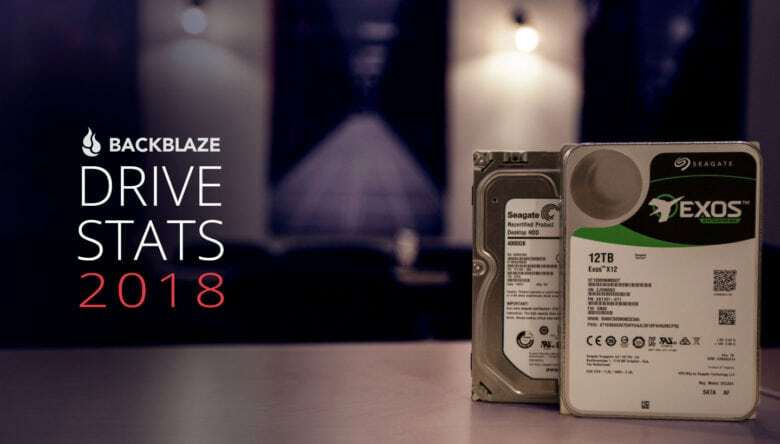 At the end of 2018, Backblaze had over 23,000 4TG Seagate hard drives. Over the course of last year, 2.13 percent of them failed. For comparison, the data-storage company had just 0.69 percent of its Toshiba 4GB drives fail, and that’s the second worst performance in this size. Or this company used 19,200 4TB drives from HGST, with failure rates of just 0.49 percent and 0.36 percent for two different models. Backblaze uses three different models of Seagate 6TB and 8TB drives for a total of 26,000 units. These had failure rates between 0.88 percent and 0.98 percent. HGST’s small number of 8TB drives used by the storage company had a 0.68 percent failure rate. Backblaze’s 31,000 Seagate 12TB units failed at a 1.39 percent rate, compared to the 0.5 percent rate of 1,278 units of an HGST drive of the same capacity. But there is an exception. “The Seagate 10 TB drives (model: ST10000NM0086) continue to impress as their AFR [Annualized Failure Rate] for 2018 was just 0.33%. That’s based on 1,220 drives and nearly 500,000 drive days, making the AFR pretty solid,” Klein said. There’s cheery news for all types of hard drives: “The Annualized Failure Rate (AFR) for 2018 for all drive models was just 1.25%, well below the rates from previous years,” according to Klein. The AFR has improved each year. Last year it was at 1.77 percent, and it was 1.95 percent in 2016.